Heres a nice Monza we redid recently. 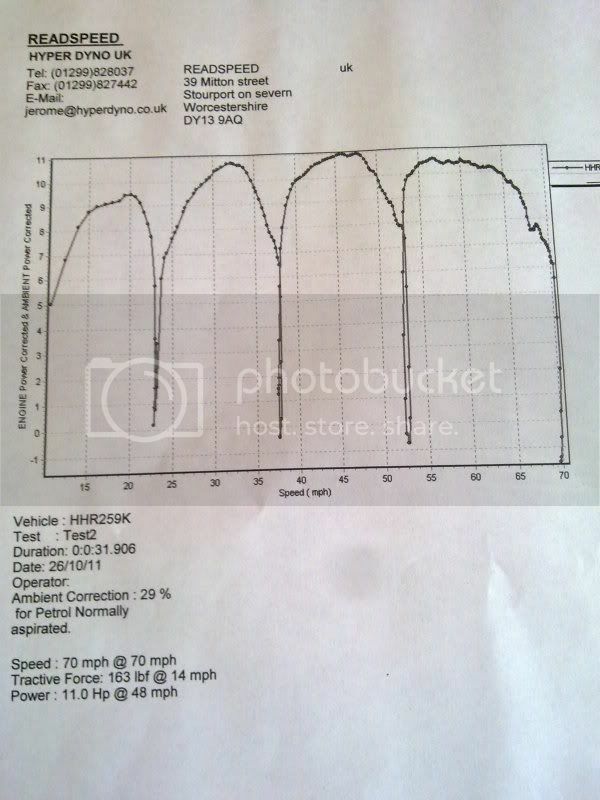 One of Chris' customers the scoot already pulled a healthy 27hp. 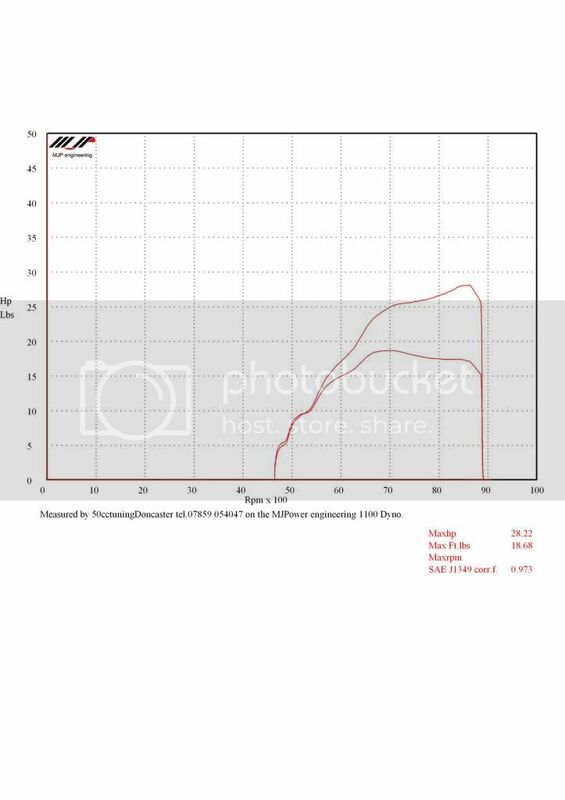 It did have some issues though so the barrel was reported with lowered transfers and a reshaped exhaust and inlet. Heres following on with our work with the GT kits(Come on Richard get some more made!). Chris has ported this again but paying extra attention to the inlet. The old cylinder head was thrown away and a new one machined. 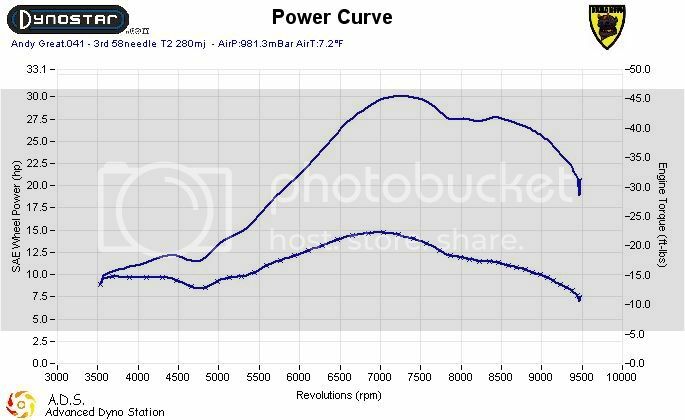 We get TS1s in that don't make this power. 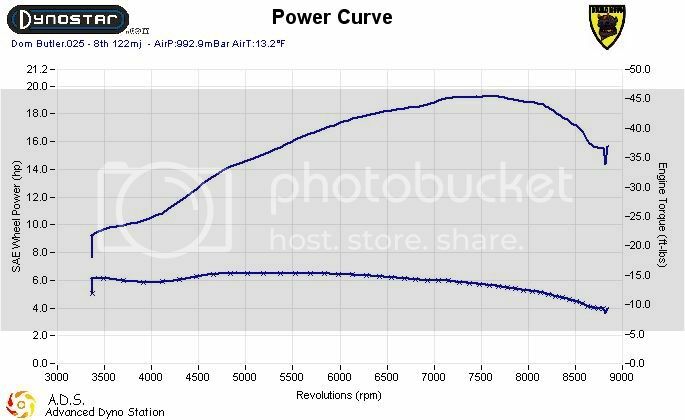 Notice this isn't peaky, bung loads of exhaust timing HP but a big fat curve with plenty of torque. Finally after dynoing this bike I phoned Ron Moss to tell him how impressed we were with his exhaust pipes. Turned into an hour long conversation! This TS1 uses one of his TS1 pipes and the customer tells me it fits first time. Â£250 may seem a lot for a box pipe but this is handmade and works as well as a lot of expansions. It also fits with no mods to frame or panels. Really looking forward to his kits coming out -watch this space! 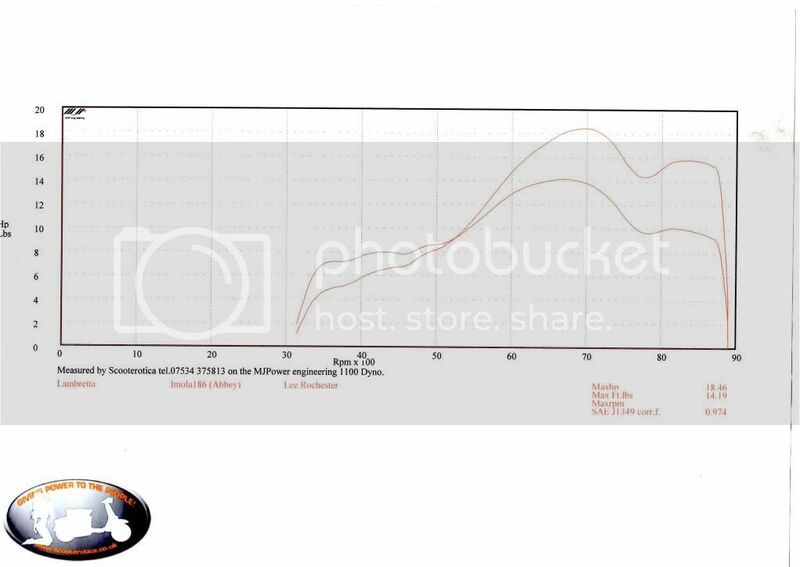 These pipes compare very well to expansion pipes on TS1s so you can have the looks and sound of a std(ish) scooter with the power and reliability of a TS1. 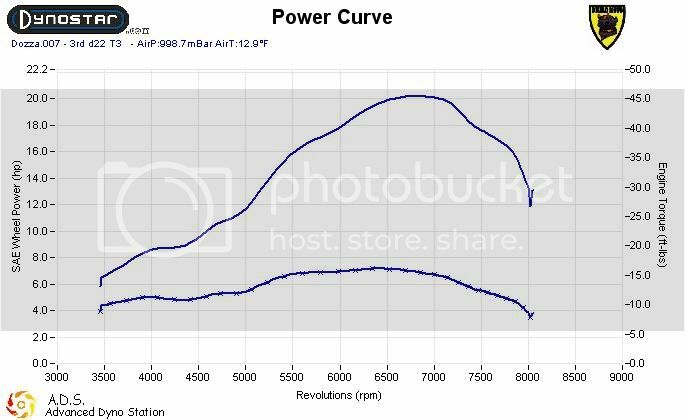 Notice that its almost a perfect power curve. 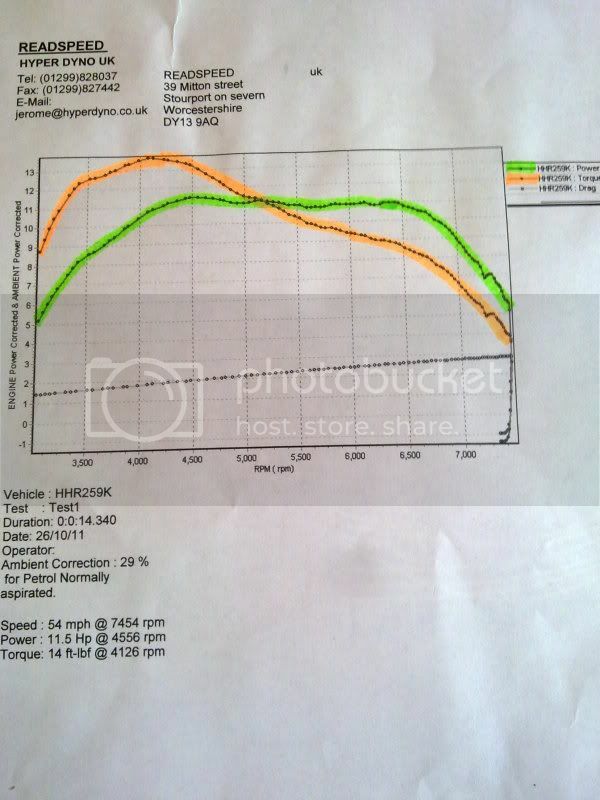 Darrell has now reworked the barrel and the packer plate removed , it was then dynoed again with no changes to carburation or exhaust and produced 24.30 bhp and 18.01 ft.lbs , this was also run on an identical dyno so the figures are even more impressive . 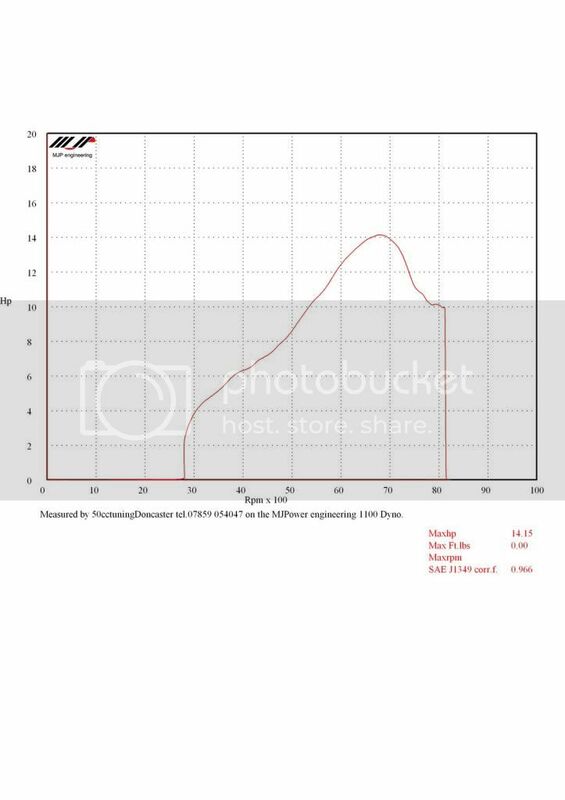 Unfortunately darrrell has only done this for me in exchange for my work and isnt looking to do any more lambrettas as he is very busy with his line of tuning ie fizzys etc , which is a shame and i would like to thank him for the results that he has achieved from my barrel !!! Last edited by rocho68 on Tue Apr 05, 2011 1:20 pm, edited 1 time in total. 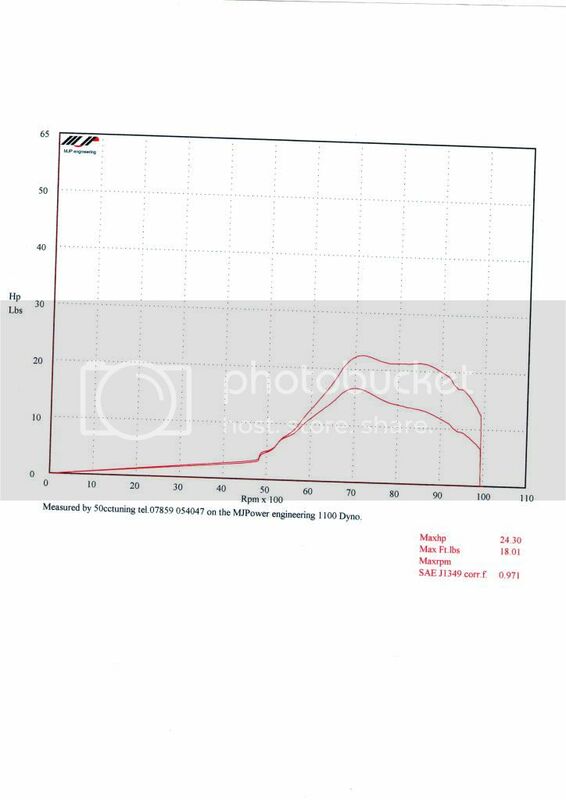 chris sturgess ts1 225 ,Franspeed race, 35 Mikuni,V Force reeds, 58 mil crank, Richard Taylor ignition, 6 plate clutch, Re-worked inlet manifold,No welding or machining to barrel or casing. 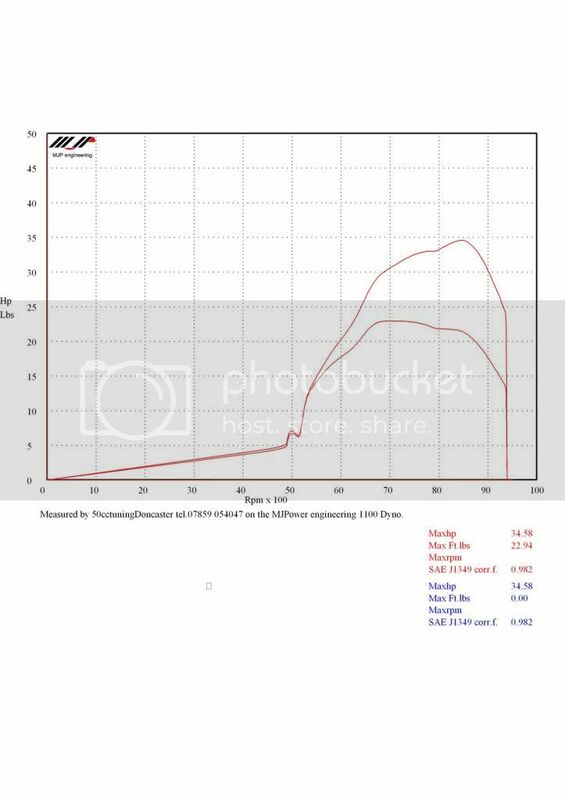 I know, the dyno is probably optimistic, I had my TS1 230cc dyno'd at 26,8 bhp on the same dyno. 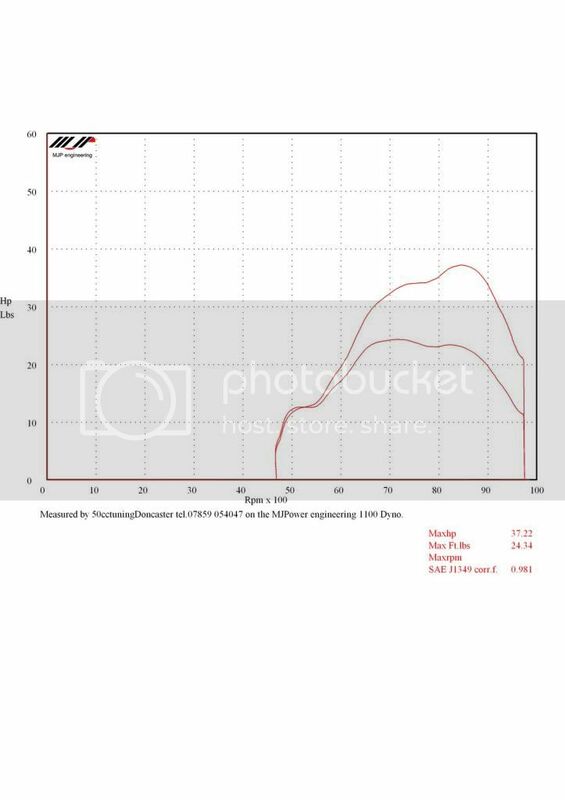 I guess the TS1 must do somthing like 21 or 22bhp but this leaves the Imola still with something around 30 HP wich is not bad. have you tried it out on the road yet? Last edited by Darrell Taylor on Mon Dec 19, 2011 11:18 am, edited 3 times in total. Last edited by Darrell Taylor on Sun Mar 11, 2012 11:35 am, edited 2 times in total. So far this is a Casa185 kit striaight out of the box with no work done on it, Spanish 125 gearbox with 16T front sprocket, 42mm clubman, GP crank and 26mm dellorto with remote ramair filter. Last edited by Darrell Taylor on Mon Dec 19, 2011 10:47 am, edited 1 time in total.